The Salvation Army in Lee County is getting ready to serve Thanksgiving meals for hundreds of people in the area. 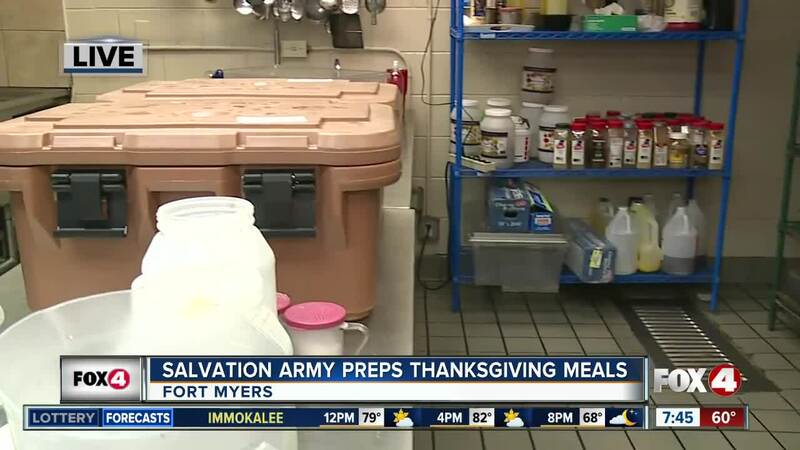 FORT MYERS, Fla. -- The Salvation Army continued its tradition of serving meals for those in the community this Thanksgiving. The Center of Hope location planned to serve between 300 and 400 meals. Hundreds of other meals were delivered to the Hendry County location. The Center of Hope location is located on 2400 Edison Avenue and they will be serving meals from 11 a.m. to 1 p.m.
Viewers interested in more information about other location and their meals times can click here.